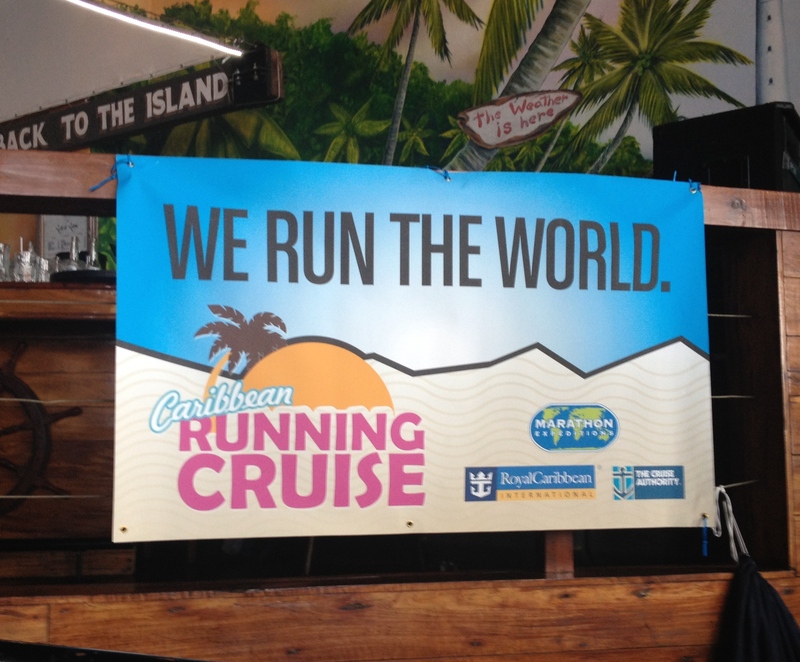 The running cruise was a staged marathon or half marathon – depending on what you chose to do. Each time the ship stopped, our group would go ashore and run a 5K or 10K. For this trip I elected to do the half marathon so that my husband (who is not a runner) would have a partner in this adventure. The first stop was Haiti where we ran a relay race. My husband and I took turns going out a half mile and back until we each had done 3 miles. We were not allowed to run with a watch or Garmin so I never knew how fast I was going. I was stunned when he told me that I had run a mile under 9 minutes. I never run that fast. It was an interesting lesson in how our watches influence our pace. While we were in Haiti, we got to meet Linsey Jorgenson, an incredible young woman who started Streethearts, a non-profit that provides a safe haven for street kids of Cap-Haitien. Linsey met the kids during her daily run through town. Her interactions with them built their trust and she was able to keep track of their welfare. Ultimately, she got a house where the kids come to sleep, shower, and have a meal, under the watchful eye of Linsey and her staff. The marathoners had brought donations of much needed supplies like shoes and vitamins for the Streethearts kids. The pile of donations was amazing. Our next stop was Jamaica for a hash run with the Kingston, Jamaica Hash House Harriers club. On the bus ride out to the hash run, we passed Usain Bolt’s grade school. There was no fancy paved track – just a grass oval. The club members were gracious hosts for a traditional hash run, followed by a cookout on the beach and more Hash House traditions involving beer. The day was full of laughter and fellowship with our Jamaican hosts, many of whom had taken a day off from work to be with us. 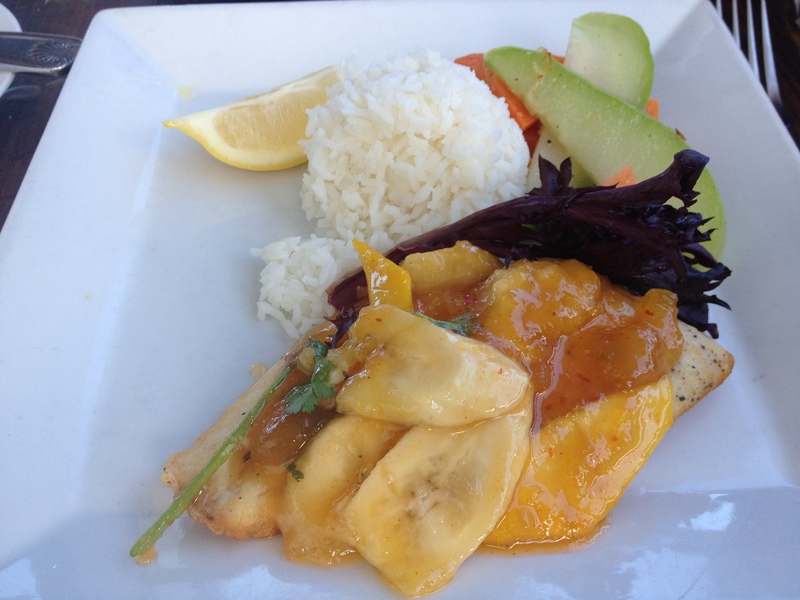 My Guy Harvey lunch – Yum! Our last race was an “Amazing Race” style adventure through Cozumel. We had been told to pack costumes and dress as pirates for this race. I am not one for running in a costume but my husband was game. He dressed up like Captain Jack Sparrow, complete with facial hair. His costume was so real that John did not recognize him at the pre-race meeting. My costume was a red scarf, black shirt with skull and cross bones, a large earring, and a two-pound talking parrot (not live, mechanical). I had programmed the parrot to say a few phrases like “Surrender your booty!” in addition to its squawk. We were given a crude map and told to go to a series of landmarks in a specific order, taking pictures of ourselves at each one. The locals must have been startled to see a large group of costumed runners, heading down the street. Just like the television show, we needed to figure out for ourselves the best way to get from place to place. I don’t speak Spanish so I resorted to asking for directions in French, which surprisingly was very effective. My husband and I found the last landmark with another couple hot on our heels. Not wanting to be passed by them, we took off for the finish line. 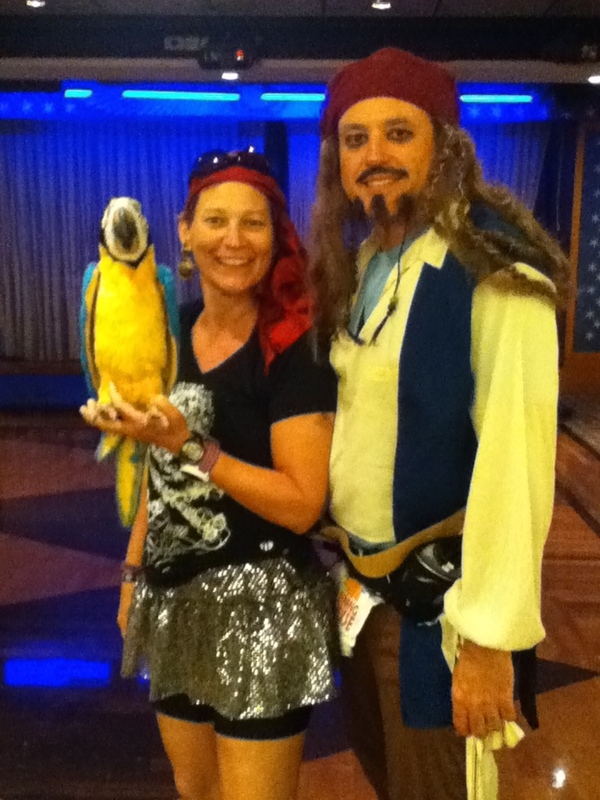 I shoved the parrot under my arm like a football and ran as fast as I could. We were the first team to finish the 5K race. One of our waiters balancing beer mugs (full too!) and trays on his head! 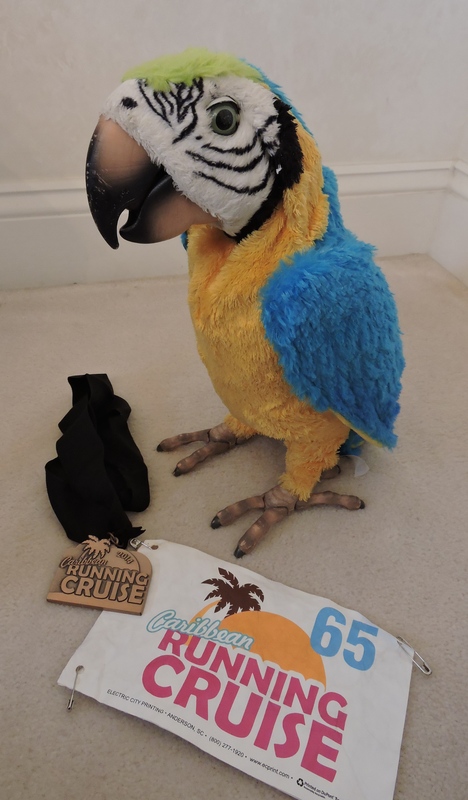 The Cozumel race ended at the Jimmy Buffet Margaritaville restaurant where the marathoners received their finisher medals and enjoyed food and drinks, and shared stories about their adventures. The waiters got into the celebration and demonstrated their skills balancing mugs of beer and trays on their heads. I enjoyed the cruise a great deal but I won’t be able to go back on another Caribbean Running adventure. While I enjoyed the break from the cold February weather, I found out very quickly that running in the heat and humidity of the Caribbean was not something that agreed with my Transverse Myelitis. My normal coping mechanisms for running in warmer weather were not as effective on this trip. 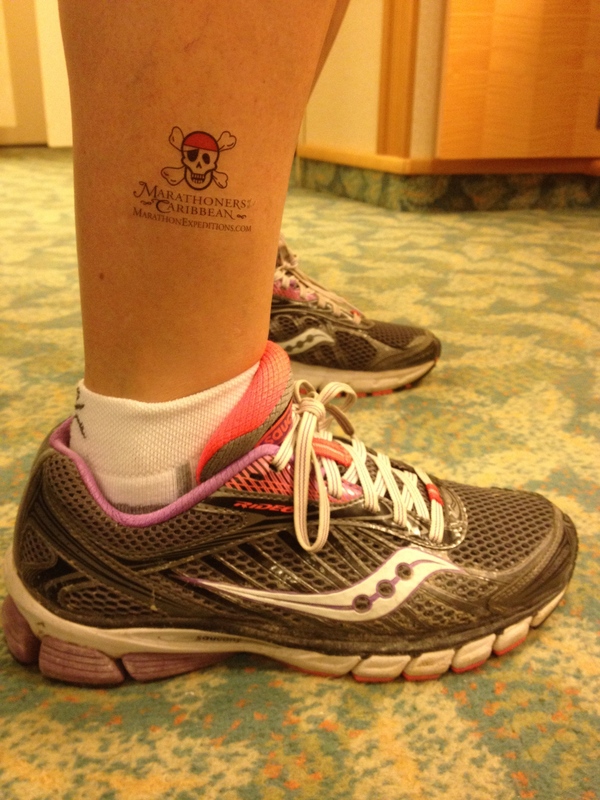 A “runcation”, as Jenny calls them, is a great way to enjoy an active vacation and have a real adventure. Their trips are not just for runners; both runners and walkers are welcome to participate. In addition to the Caribbean Running cruise, John and Jenny organize an Alaskan cruise as well as active vacations in Europe. Check out their web site – Marathon Expeditions – for more information. I guarantee if you go on an adventure with John and Jenny, it won’t be your last. You will be hooked! Jenny created this little video of scenes from our cruise. Check it out (and then make that reservation to join them!). Interested in learning more about Streethearts? We were so impressed by Linsey’s work that we continue to support Streethearts. I hope you consider helping them too.